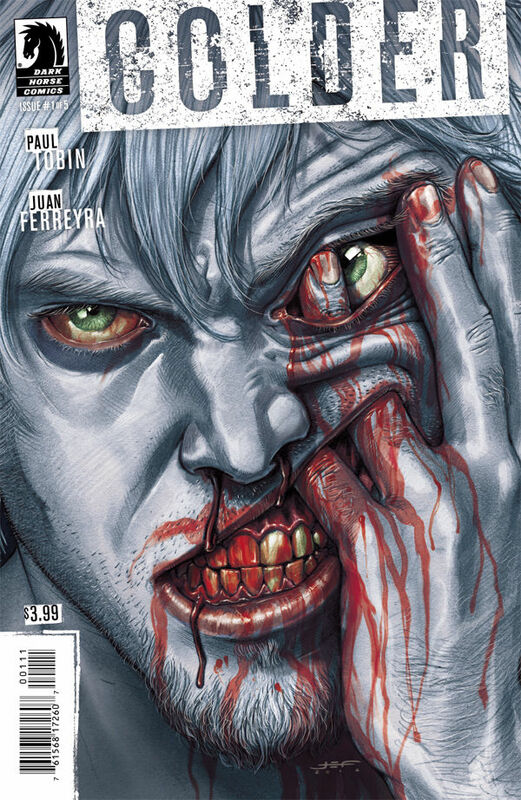 Paul Tobin is one of my favourite writers out there, so when I got the chance to interview him, I couldn't pass it up. With a career as diverse and interesting as he has, it's easy to miss important parts of it, but I think we hit all the fundamentals, hope so at least. Again, Paul, thanks a lot for your time! CBSI: Hi Paul and thanks for agreeing to this interview. Let me start by saying I was really surprised to find you in the credits of Attitude Lad! 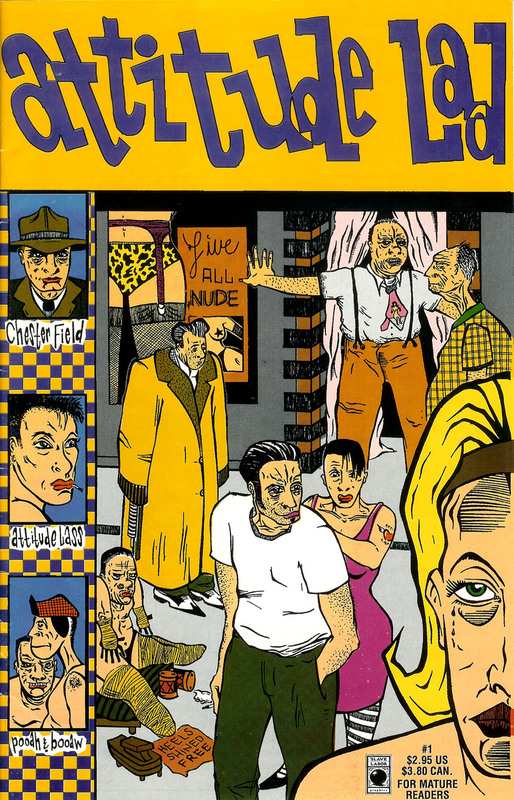 I got it when it came out (1994, when the only sane comics seemed to be published by Fantagraphics and Drawn & Quarterly) and I would have never associated it with Phil Hester, Colleen Coover or you if I hadn't done a bit of research for this. Man, do I feel old! Have you looked at it recently? How does it make you feel? PAUL TOBIN: It makes me feel old, too! I still enjoy the energy of that book, but it's very much a youthful book. I think Phil and I were basically a couple of years out of college when we started the comic, so we had that wonderful combination of “I'm going to take on the world!” and “I don't really understand very much!” Oddly, I think a lot of good art and writing can come from that naiveté. Not necessarily saying WE ourselves made great art / writing there, but… I at least don't want to burn it all. CBSI: I couldn't find much information about any major projects until 2005 and Coleen's and your excellent Banana Sunday. Did you try a real job (kidding!) and then decide to give comics another shot? TOBIN: It was… sort of a real job? I ran a comic store for a long time. Daydreams in Iowa City. I think I worked there in one capacity or another starting in maybe '86 or so, and worked there right up until I left Iowa to move to Portland, Oregon. I kept my hand in comics during that time, but my heart wasn't in it as much as it could have been. Small projects, only. And only with friends. I think I'd gotten a little fed up with how artists were interpreting my work, so I wanted to focus on prose during that time. I wrote a bunch of novels that are junk… just total junk. But it was during that time that I really learned how to write. Dave Sim (of Cerebus fame) once said that the only way to learn to draw is to buy a stack of paper that's taller than your head, and then fill all the pages, both sides, with drawings. That's sort of how I feel about writing. You have to write yourself through an incredible amount of junk. Learning comes in small increments. I came out of that time period a much better writer, and… incidentally… a lot less temperamental about working with artists. I learned about the collaboration process of comics during that time period as well. These days, I'm thrilled when an artist takes the reins and expands the story, giving it as much of their vision as mine. Juan Ferreyra on Colder is an especial treat. I wrote a 22 page script for the first issue of Colder, and when Juan was done it was a 27 page comic. Five extra pages! And they all worked! It was fun. Still is fun, actually, since Juan and I are finishing up the 3rd and final arc of Colder these days. CBSI: Let me just say that I really enjoyed Banana Sunday (as many other people did, I am sure). Was it considered successful by Oni? Did it open (m)any doors for you? TOBIN: A minor success, I think. It was one of the books that brought back my own love of creating comics. I met Colleen Coover in the early 90's, and we started dating soon after. She contributed to a few issues of Attitude Lad, and her love of comics never wavered. Eventually, she wanted to do a comic of her own, a book called Small Favors, which was for the Eros line of Fantagraphics. 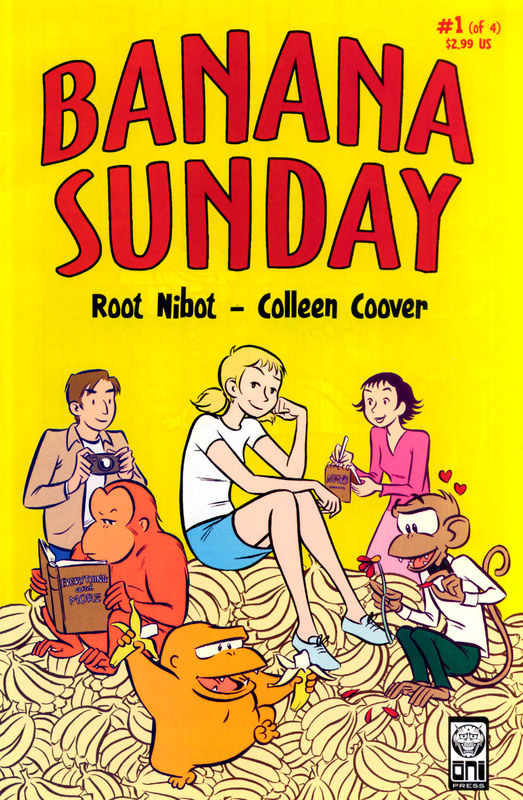 Advising her made me enjoy comics again, and then we did Banana Sunday together, and I was hooked again. Comics are for me. Wish I'd been smarter in the beginning! Shortly after Colleen and I moved to Portland, she joined Periscope Studio, and through the studio we became friends with Jeff Parker. It was him who opened a lot of doors for us, and I think it was Banana Sunday that first really gained his attention, so… yeah… the book opened doors. CBSI: Two years after that, you started working for Marvel, starting with short stories and the Marvel Adventures line, then moving on to the regular line. Did you get into Marvel because of Banana Sunday? TOBIN: Parker, again! I was working in Powell's Books, a huge bookstore here in Portland, and Jeff came in and we were chatting, and he asked if I would like to seriously get into comics. I said, sure. He connected me with editor Nate Cosby, who was responsible for almost all my work at Marvel. The three of us still work together, actually, for the Angry Birds comics. I think one of the main reasons all three of us work on Angry Birds, to be honest, is because we just love keeping the team together. Back in the day, Nate was the editor for the Marvel Adventures line, which is why so much of my work came out from there. I had an enormous amount of fun, and it was yet another fortunate step in my evolution as a writer, because all of the Adventures line needed to be done-in-one issues. Because of that, I learned to be succinct, and I learned how to put a lot of material in a small amount of pages. I liken it to how so many of my favorite artists come from animation: because they've learned to tell maximum information with minimum line. Everything just flows so much better. CBSI: As I told you the other day, I have a lot of love for the Jeff Parker, Fred Van Lente and Paul Tobin brand of combined madness at Marvel in things like World War Hulks or Age of the Sentry. You guys seemed to be having a lot of fun and I think that translated really well to the page, how was that experience for you? TOBIN: It was great fun. I think we were all trying to one-up each other in terms of producing comics that were both fun, but also good solid stories with actual characterization. And our heroes were people who had lives, not just secret identities. I still get a lot of mail from people missing those comics. There's maybe more a place for them in today's world. 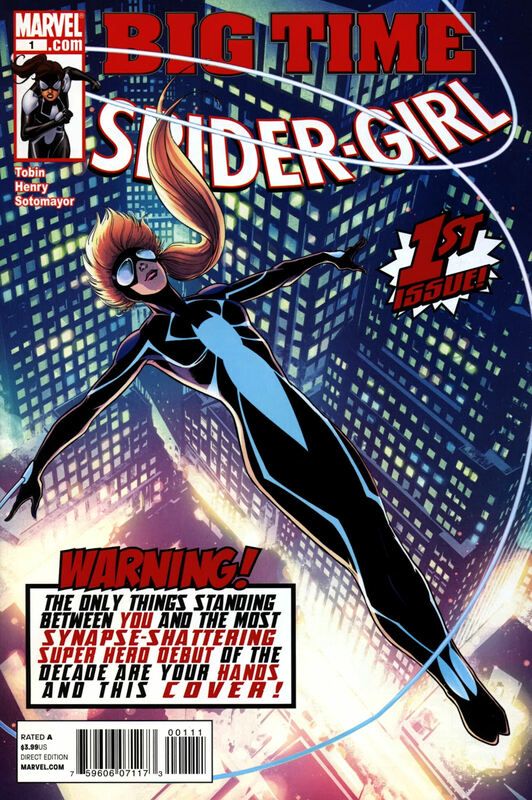 CBSI: Towards the end of your stay at Marvel, you took on Spider-Girl, which unfortunately readers didn't show a lot of love to sales-wise. I think it's fair to say that you write actual women, instead of male projections of women. Do you think it might have done a lot better in these days of Batgirls, Silks and Spider-Gwens? TOBIN: It would certainly be an interesting go. But… popularity is always, at some level, a roll of the dice. I loved writing her adventures and really did want to create a greater overall whole, but… like you say… the sales weren't there at the time. CBSI: Any character you didn't get to but would love to write in Marvel? What about DC? TOBIN: At Marvel, I managed to write most of the characters I wanted to write. 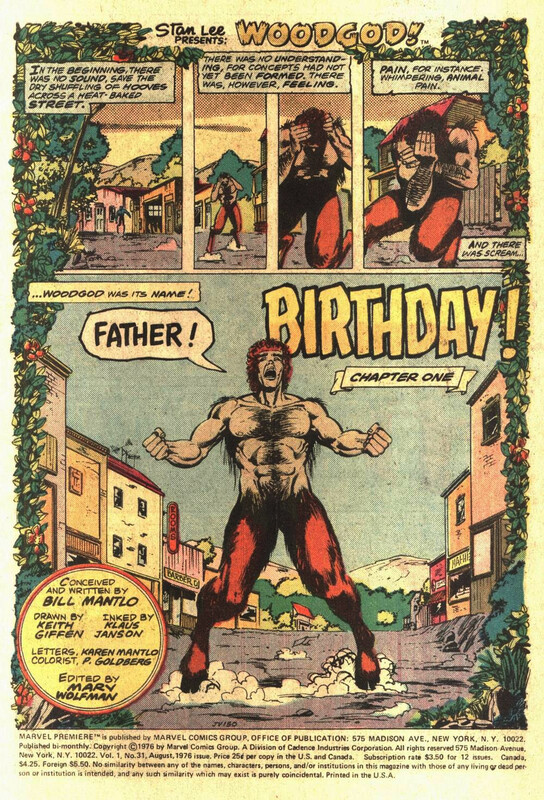 One notable exception was Woodgod, a very low-level character that I have some fondness for. I always tried to get him into a story, but it never worked out. Parker and I actually had an informal Woodgod race, actually. Jeff won. Dang it! Beyond that, I certainly would have loved to have done more work with Hulk, and Dr. Strange, and Captain America… but only if I could have written them long term, and the mainstream titles. Daredevil was a guy I barely touched, and I'd have loved to have done some work there, too. As for DC, I haven't played in that field nearly as much. I'd love a chance at a long term Wonder Woman gig, and anything to do with the Marvel family, especially Mary Marvel. Dr. Fate or the Spectre would be keen. Superman, Batman, Ragman, Batgirl, Supergirl, Lois Lane and Krypto. The list goes on. Oh… the Demon, too, as long as I didn't have to have him rhyming all the time, which is just a big anchor on the storytelling. CBSI: Mr. Didio, please give this guy a Mary Marvel Team-up book, stat … Post-Marvel you have kept yourself busy. On one hand, you have the licensed books like Falling Skies, The Bionic Woman, Conan, Adventure Time, Angry Birds, Plants vs Zombies or The Witcher. Is this type of project any more difficult to handle? Do you need some kind of attachment to the characters or is it more interesting, as a writer, to approach something that's totally unknown? TOBIN: It's really no different than writing for Marvel or DC. I still don't own the characters and still have to keep within certain boundaries. That said, on many of these titles, I've been allowed to really cut loose, and that's what makes them fun. I'm in a position now where I don't really need to take jobs just to take jobs, so I always calculate the “will I have fun” angles of working on a job. Took another one today, actually. Because it will be fun, and with an editor I enjoy working with. As far as “attachment,”… that's something I never worry about. I'm the writer, I can build my own attachment. I'm always amazed when I hear other writers say that they don't want to work on a certain character because they don't like the character. In fact, that makes me downgrade them as a writer, because if you can't find something you like about a character, you can create it! And if you can't create it… you're not a very good writer. CBSI: On the other hand, you have your more personal projects like Bandette and I Was The Cat, both of which started as digital episodes then collected in a physical book. 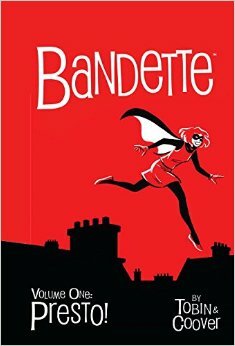 Bandette, in particular, seems to have had a great critical reception having won the Best Digital Comic Eisner award in 2013 and with 3 nominations this year (Best Continuing Series, Best Digital/Webcomic, and Best Painter/Multimedia Artist). Congratulations are in order, you must be enjoying working on this type of project the most, right? Does all the critical acclaim translate as sales for you? TOBIN: It's true that Bandette is the most fun I have working in comics. A large part of that, of course, is that I get to work with my wife, artist Colleen Coover. The acclaim feels nice (I think we've been nominated for 7 Eisners on the title since we began) but it doesn't translate into a huge amount of further sales. It opens the doors in other areas, though. One door it helped open was my book deal with Bloomsbury, which pays me enough that I don't have to scrounge for money anymore. A lot of working as a professional writer is knowing when you're working for a paycheck, and when you're working for further opportunities. They both pay off in the long run, and you can have fun writing either type of project. Which isn't to say that some projects aren't both, of course! CBSI: Looking at the global industry, the publishing model you are using seems to be the logical future for comics in this day and age: digital singles and then straight to books. I think that makes sense the most for everyone who's not Marvel and DC (and the bigger Image titles). However, do you think that the direct to book approach is taking away some of your potential readership? I'm just curious about the thought process behind the choice, really. TOBIN: I go back and forth on this. Or, in fact, I go all over the place on this. I really don't know. Sometimes a book seems to be a better fit for a digital model, and I do think that digital is the model of the future, but… looking back on technology of the last 20 years, I would have made a lot of wrong calls. Anyone would have. So, honestly, I just keep stepping along working in today's world, and hoping that translates into the future. If not, I'll try something else when the future rolls around! CBSI: Another comicbook of yours that you brought up a bit above and that was an eye-opener to a lot of people was Colder. Where did the idea for that come from? Had you been itching to write a horror comic? TOBIN: In some ways, yes… I had been itching to do a horror series. Or at least something far removed from the “all ages” label that I was getting pigeon-holed with. I absolutely love doing all ages material, but it’s not the sum of me as a writer or a person, so I was looking to expand. Dark Horse editor Scott Allie asked me to do some creator-owned pitches, and that they were looking for more horror, and Colder grew out of that. The genesis of the idea was how everybody looks at the world, and at reality, differently. I wanted to reflect that, and from there it grew into the horror of the whole concept of reality. CBSI: As if that wasn't enough, you are getting ready a series of novels, Genius Factor. How does it feel having all the weight of the whole world on your back creatively? TOBIN: I do sometimes work on too many projects, but it's a choice of insanities for me, really. If I'm not working on a lot of projects, I tend to grow bored and stagnate. When I'm working 10 or 11 projects at the same time, I can always move to another project when I'm flagging, and that often gives me a second wind, or a third or fourth wind. And now that I'm working on novels as well, I can even pop back and forth between writing mediums. That helps as well! CBSI: What's the target audience for those? TOBIN: For the Genius Factor books? Same target I always have in mind. Everybody. I suppose they’re being labeled as Middle Readers books, but I write them in a way that I enjoy them, and it’s been a while since I’ve been in grade school. 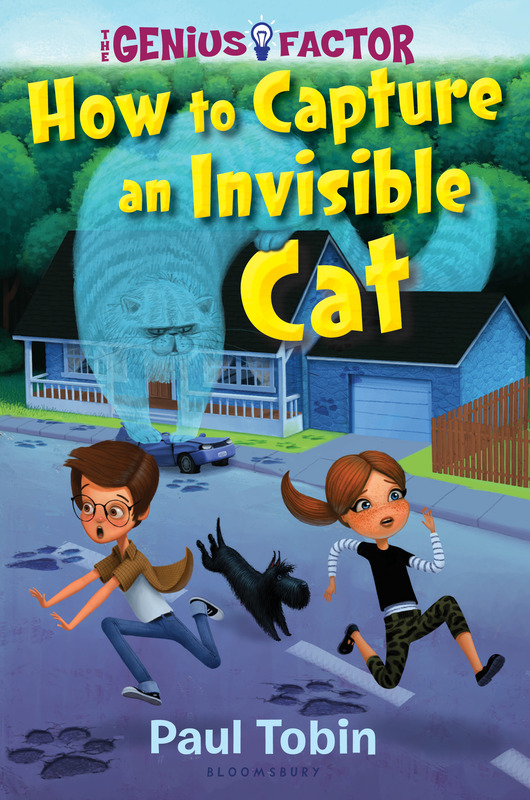 CBSI: The first book, How to Capture an Invisible Cat is coming out March 2016, which brings me to my next topic. Cats: Discuss. TOBIN: Cats are an adorable evil. 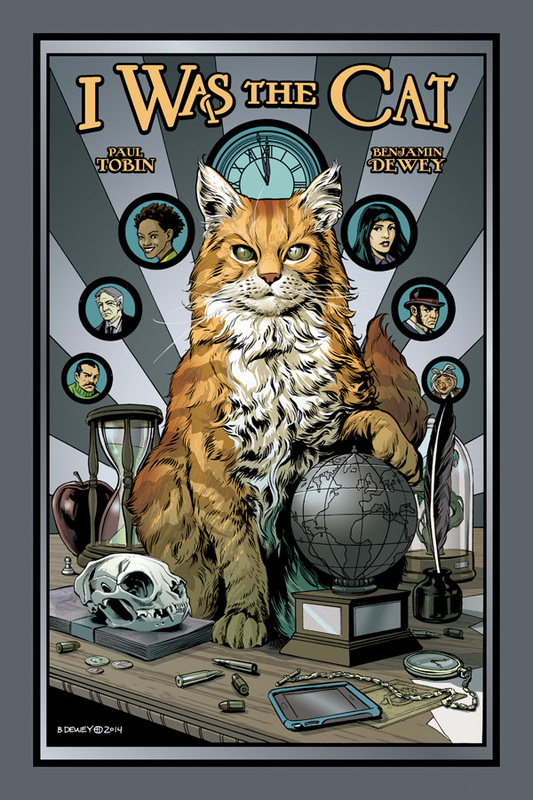 It really was a natural to write I Was The Cat, where a cat is trying to take over the world, and it was just as natural to have a cat be one of the many problems that Nate and Delphine, the protagonists in my Genius Factor books, face in the first volume. I had a lot of farm cats when I grew up. I cherished them and still do. But I'm a dog person at heart. 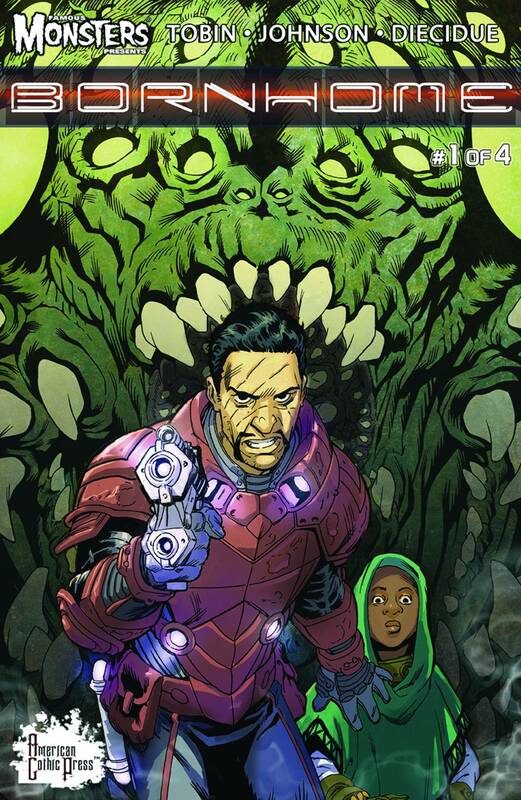 CBSI: Finally, Famous Monsters of Filmland‘s editor decided to create a comic line and put you in their first book, the 4-issue limited series Gunsuits. How were you approached for this project? TOBIN: Holly Interlandi, the editor of Famous Monsters, is a fan of Colder. We struck up a twitter friendship, and she interviewed artist Juan Ferreyra and I at San Diego. Then, a few months later, she wrote me to ask if I'd like to be a part of a new comics line, and work with her and Phil Kim to establish the new titles. I was already sold just because I knew it would be fun to work under the Famous Monsters banner, but also… as I've mentioned… it's important to me who I'm working with, and Holly is keen. Then, when I heard my friend Steve Niles was the other writer aboard, I gave it the final go-ahead. CBSI: I am sure that getting a call from a magazine with that much beloved history was exciting? TOBIN: It was fun, yep. When I was a kid, I'd go into town (Charles City, Iowa) every Friday when my mom was buying groceries and doing laundry. And I'd always get some new comics (actually, old comics, because it was largely just 3-packs of comics from the last few years that were available) and then look for the magazines I couldn't live without. That was Mad Magazine. National Lampoon. Savage Sword of Conan. Creepy. Eerie. And Famous Monsters. CBSI: You developed an original story by FM editor, Phil Kim. How much of the story was outlined by Phil and how much freedom did you have to populate that universe? TOBIN: My memory is that Phil had the basic premise, a paragraph pitch. From there, I expanded on his ideas and populated the universe with characters I created, a storyline based on Phil’s premise, etc. 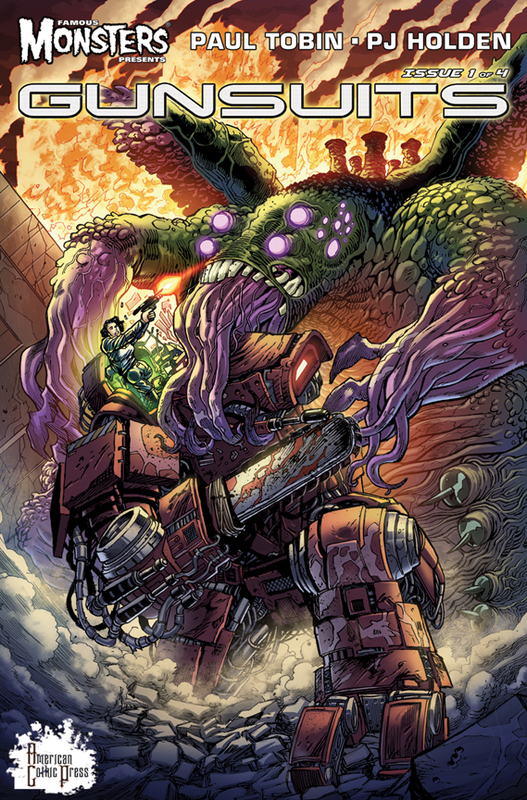 CBSI: I read the first issue last week and I believe it has everything you could ask for in a first issue: a strong character that's easy to get attached to, mechs vs monsters, alternate dimensions, a twist ending and great art by P. J. Holden. It doesn't look like it's going to slow down in upcoming issues. What would you tell people who have not read it? TOBIN: I'd say if you're a fan of action and adventure, Gunsuits is a place to be. Two of my biggest tools are characters (which I think far too many writers blow off) and then adventure, which is something akin to action, but… a greater whole, I think. Plenty of action, too, of course. Can't avoid that when there's mechs and monsters. Didn't try to avoid it. At all. Jumped in headfirst, really. TOBIN: Oh yeah… Bornhome is on the way! Phil sold me on that one with his opening line of, “How would you like to write a series about space pirates on a broken down amusement park world?” I grunted a yes, and we started working! CBSI: The pitch sounds great and it has Jeff Johnson on art, which is really good news for all comic readers from the early 90s. I will definitely be checking that. Can't let you go before I ask you: what does your comic pull list look like these days? TOBIN: I grab a lot of work that my friends are doing, like anything Jeff Parker writes, and also Chris Sebela. I'm a Matt Fraction fan, so his books end up in my reading pile. Daredevil is a book I enjoy. And then there's a bunch of eclectic stuff, like Lumberjanes and some of the Boom! titles. Any reprints that have the names Hugo Pratt or Alex Toth or Jordi Bernet, and I'm on that stuff. Ms. Marvel is a quality book. And Harrow County. I'm forgetting tons of things, no doubt, because I don't really have a pull list. I just go into a store and scan the shelves, delighted when I find new things, or old favorites. Wow, really enjoyed the in-depthness of the interview. It’s rare to have someone on the asking side be so knowledgeable about the person he is interviewing – definitely makes the interview go so much smoother . Great job Inigo. Damn that’s it? I wanted more! Haha Great interview!